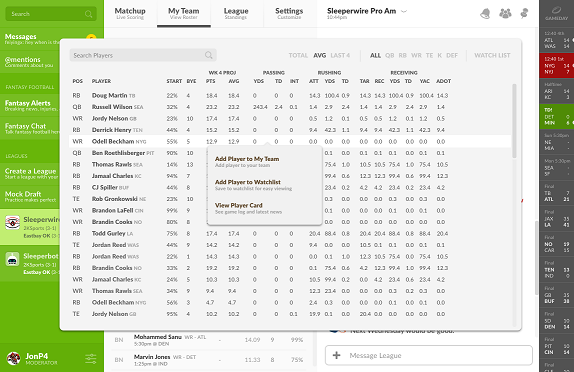 Can I access player research, stats, and rankings? Yes, and so much more. We provide live scores, play-by-plays, team stats, player stats, news, and analysis in real-time. We also provide advanced metrics like ADOT (average depth of target), ADOC (average depth of catch), and more!